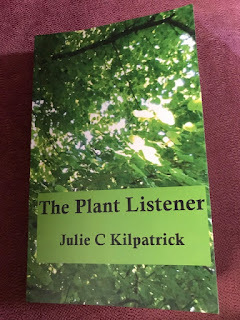 I was contacted some weeks ago by Julie Kilpatrick to see if I would like to receive a copy of her book. 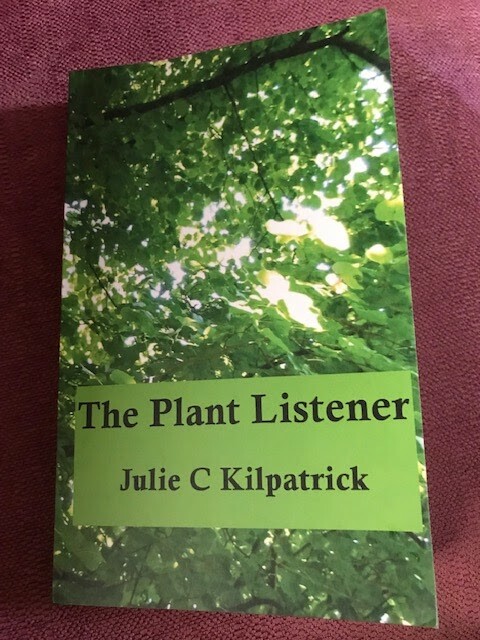 It was very kind of Julie to send me this book, The Plant Listener. It sounded interesting and I thought it would be the sort of book I enjoy reading. I have not paid for this book but as ever, my words and opinions are my own. The back-cover of this book says it is part one of a series. Julie poses some tantalising questions on the back-cover such as do plant get hangovers and why does moss get the better of our lawns? The latter question is of particular interest to me as I often have more moss than grass. 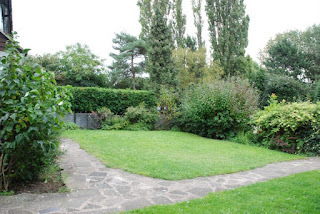 Julie is a lecturer and an award winning garden designer and it is clear that Julie is writing from a position of knowledge. The book is text only, there are no pictures and yet it does not feel dense; it is an easy and compelling read. You pick it up and start to read a chapter and you are led on to the next section and the next. I learned a lot. I learned about RAM and how vital they are for the plant's underground network and absorption of water. It was information I already knew in practice that I have to ensure that plants get the best start in life, but this book provides the 'why'. 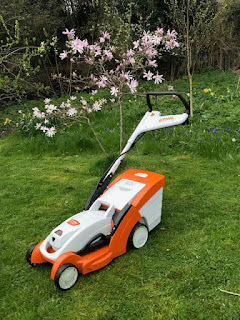 By understanding better why these things matter then it becomes easier to make sure you are providing your plants with the best start of life when planting them into the garden. The chapter headings give a sense of Julie's in depth but lighthearted approach to her subject: Plants on the pull; Choosing the right matchmaker, Abandoned at birth, Dolly the Sheep aint so great, to name but a few. I admit to disappointment that Julie declares that she no longer talks to her plants, I had a chat with my aspidistras about this and they felt rather sad about this. I enjoyed reading Julie's book. It is a good book to dip in and out of. I found Julie's writing style very accessible and informative, which is always a good mix. I hope that it is the first book in a series as I would genuinely love to read what comes next.